Whispers in the Loggia: Doubling Down – Bishops’ Fates In the Balance, Pope To Consult Chile Victims. Again. Doubling Down – Bishops’ Fates In the Balance, Pope To Consult Chile Victims. Again. Five days after all the Chilean bishops moved to offer their historic joint resignation to the Pope, late tonight brought a further sign of Francis' immersion in the country's abuse crisis – a sudden Vatican announcement that a second group of victims would spend next weekend staying with the pontiff at the Domus (above) for private talks. Most critically of all, the five men – survivors of what, in a striking description, the Vatican termed the "systemic abuse" or "abusive system" of the now-removed predator priest Fernando Karadima – are all now priests in their own right, marking the first occasion that a Pope will have met with clerics who have themselves been victims. Their names not disclosed, during their 1-3 June stay, the priests will be accompanied by two other unnamed clergy "who have assisted in their legal and spiritual journey," and two laypeople who've likewise supported them. Francis will celebrate Mass with the group on June 2nd, then meet with them all together before sitting down alone with each. While much of the focus on the Chile storm has centered on the embattled Bishop Juan Barros – the Karadima protege accused by his victims of having witnessed the abuse, now stationed in a far-flung diocese – as with the trio of survivors received last month for a first weekend visit, the invite to the next group indicates that Francis' spotlight remains fixed on "El Bosque," the wealthy Santiago parish where Karadima was pastor and carried out his crimes through the 1970s and '80s, during which time he was considered one of the country's most powerful clerics. 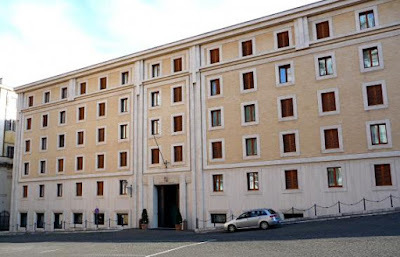 As the succession to Cardinal Riccardo Ezzati at the helm of the capital's archdiocese – by far, the country's largest and most prominent see – was already pending before the en bloc resignations with the top prelate a year past the retirement age of 75, the coming talks will accordingly be part of the consultation that informs Francis' call on the most significant personnel-choice he'll make for the future of Chilean Catholicism. On yet another front, meanwhile, extraordinary as the papal U-turn on the situation has been since January, tonight's development has broader implications: just a few months after Francis came in for heavy criticism from some leading survivors for temporarily letting the initial mandate for his child-protection commission lapse, then reconstituting the group without representatives of victims in its membership (a marked change from its initial makeup), the pontiff has suddenly taken an aggressive shift to approaching survivors and inviting them in on his own, without the involvement of intermediaries. Back to Chile, even as the Pope's determinations for the path ahead remain to be made, the combination of factors has already spurred a remarkable state of affairs – with last week's yet-unaccepted resignations of the 33 bishops having again upped the ante for Francis to act decisively, while prior Vatican attempts at managing abuse crises have largely been entrusted to the Curia or specially-tapped investigators (as took place for the Chilean church earlier this year), that dynamic has shifted, and we're now seeing an apostolic visitation effectively being carried out by the Pope himself, its resolution to be orchestrated by him alone. In tonight's announcement, the Holy See Press Office said that, by inviting the second group, "the Pope wants to show his closeness to the abused priests, to accompany them in their pain and hear their valuable sense of how to improve the current preventive measures and the [overall] fight against abuse in the church.... These priests and laypeople represent all the victims of abuse by clergy in Chile." While the Vatican said that the June talks will conclude "this first phase" of Francis' meetings with Chilean survivors, "it cannot be discounted that similar initiatives will be repeated in the future." Before word of the next survivors' visit emerged, the return of abuse and its fallout across the world's front-pages was reinforced further by this morning's conviction of one of Australia's leading prelates, Archbishop Philip Wilson of Adelaide, on a criminal count of failing to report another cleric's misconduct to police in the 1970s, when he was a parish priest. Twice elected president of the Australian bench a decade ago, Wilson, now 67 and reportedly in the early stages of Alzheimer's Disease, could face up to two years in prison upon his sentencing in June. As of tonight, the Vatican has issued no reaction to the verdict. The church's lead figure in Southern Australia since 2001, Wilson has remained in office throughout the court proceedings and pleaded not guilty to the charge. According to a response from the Australian conference, he has not indicated whether he plans to appeal the ruling.